Rehana & Mark live in London, UK. 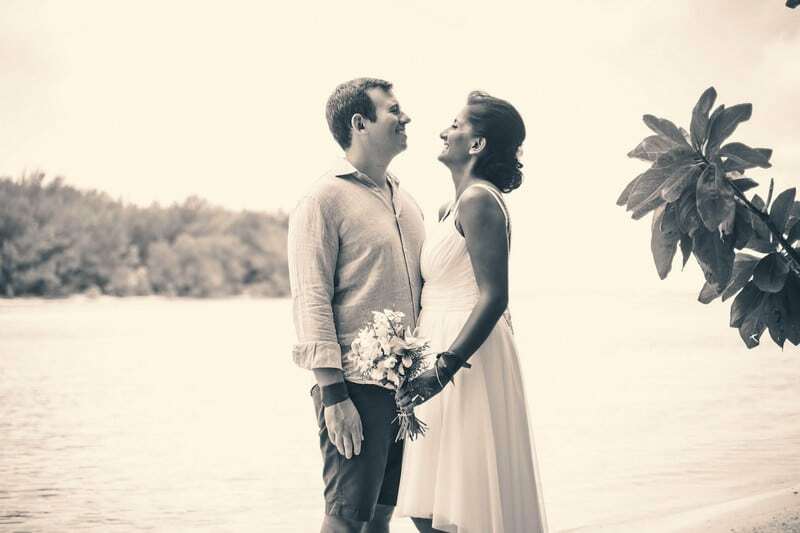 Back in October they traveled to Tahiti to get married on the beach, and after considering a wedding in Taha’a at first, they finally elected to elope to Moorea and have their wedding there as this was much more practical overall. Their Moorea elopement included both a beach ceremony and a legal wedding at the City Hall, and they then flew to Taha’a for the honeymoon! 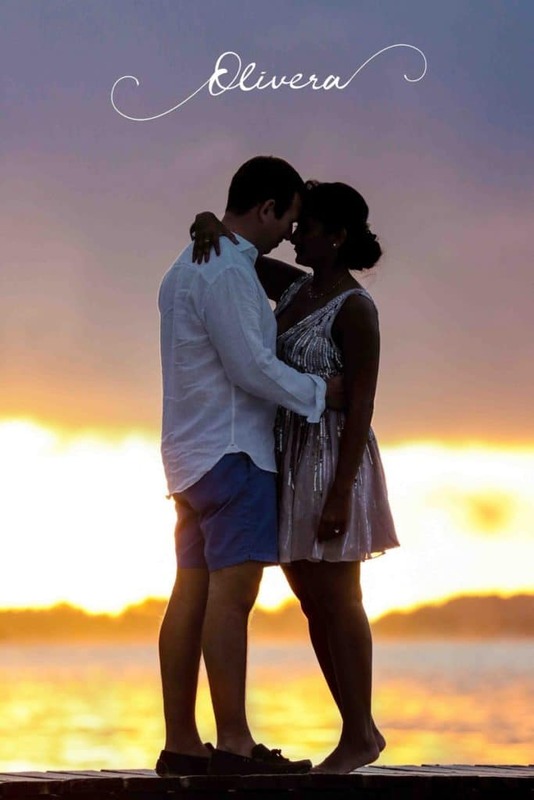 Rehana & Mark wanted a non-religious – just the 2 of them – secluded spot – no Polynesian band or music, etc. – and help with administration so that the marriage is registered when they return to the UK. Rehana as she describes herself is not a fussy/glamorous person so it was important to her that her hair style and make-up look natural and could be done in parallel, within an hour. She wanted to wear a low bun with some local flowers in her hair. My hair stylists and MUA do work together as a team all. the. time. 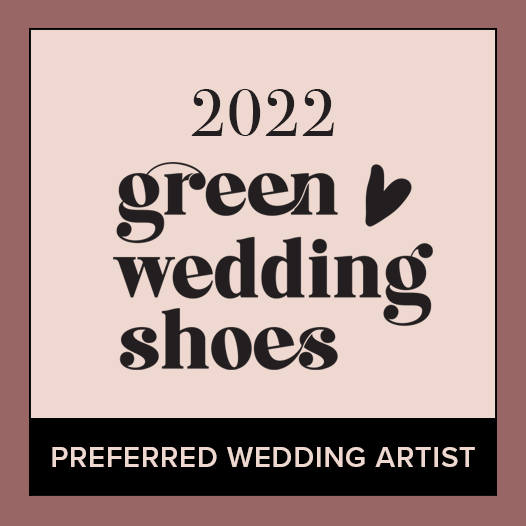 and not just for weddings, they also do lots of fashion shows and magazine shoots where time really is of essence, so not only are they much quicker and efficient than most professionals, but because they’re a team they can, and will work simultaneously. Yet, you will absolutely not feel rushed in any way, because you want to seize every moment on your wedding day! 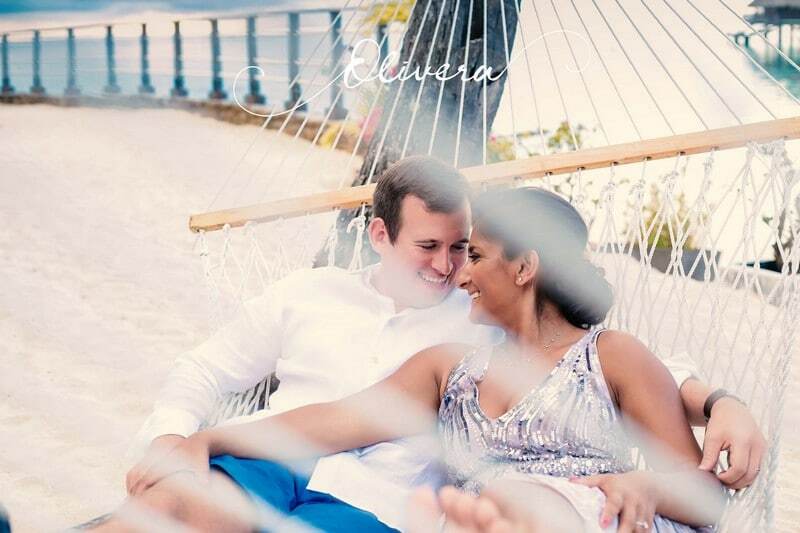 We headed for a private islet beach for their celebratory ceremony first, did some post ceremony photos on the beach and in the translucent water with the bright morning colors and the many shades of blue, before heading to the City Hall for the legal wedding celebration. Rehana & Mark did some more photos in the late afternoon at their resort to catch the glorious sunset colors, before they went on to enjoying a fine-dining 4-course romantic dinner on the beach with butler service and a bottle of Champagne that I had arranged for them to conclude the day in the most beautiful way. Mark and I are a couple of days into our honeymoon and still on cloud 9 after a amazing day planned and executed by Nelly! The preparation was very smooth, despite my husband(!) and I being half a world away in England with very demanding jobs. This relieved any stress we may have felt – thanks to Nelly’s extensive experience and patience despite thousands of questions from me! The day itself was terrific. A combination of going very smoothly, a series of talented and kind vendors, not to mention Nelly being very in the details to ensure every touch was perfect..
Mo’orea is a gorgeous island with some gorgeous scenery, idyllic spots and yet the practicality of being able to have a wedding that is legal across Europe. Thoroughly recommend if you are looking for where to have your special day. Thanks to you Rehana & Mark and congratulations once again! We wish you the very best for the future! 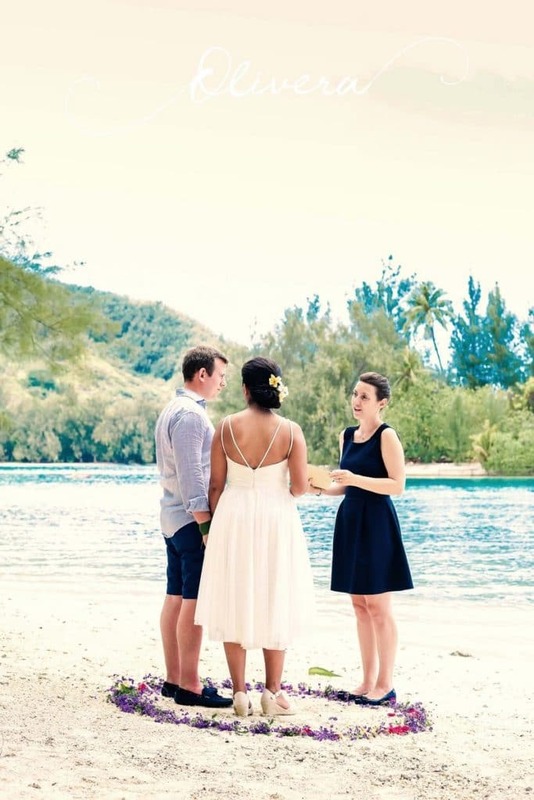 Do You Want Me To Write A Personal Ceremony For Your Moorea Elopement? Contact Me Here! 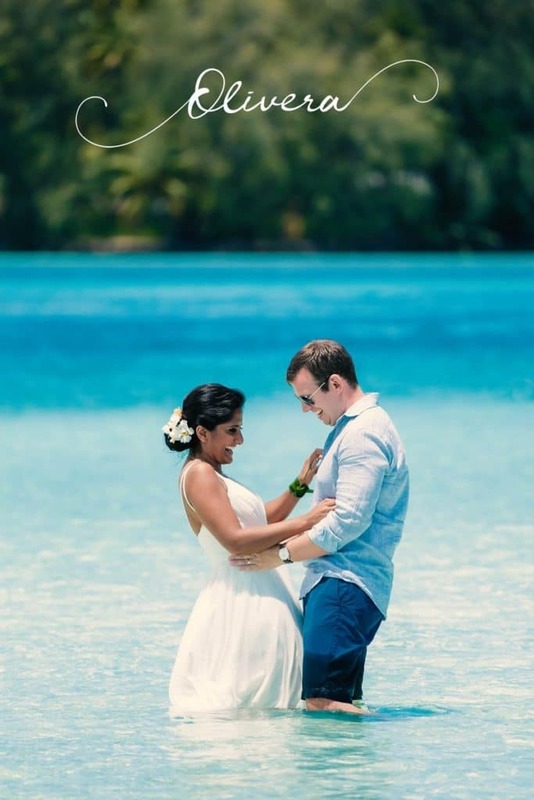 For more articles like these subscribe to my monthly newsletter HERE (and Get the Free Report to pick the best Wedding Ceremony Location in Tahiti)! 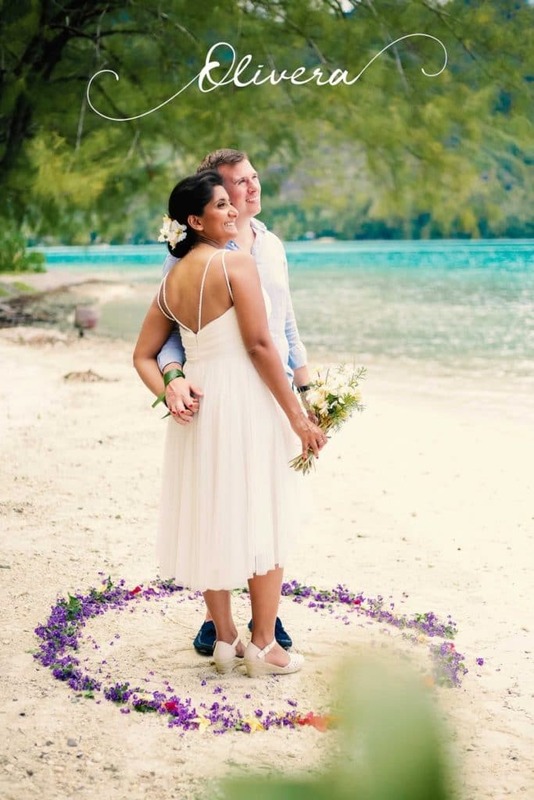 Nelly is both a Certified Tahiti Wedding Planner in Moorea and a professionally trained Tahiti Wedding Officiant (Celebrant), but also a Green Wedding Professional, a wedding insider and blogger in the Islands of Tahiti. Want someone with an intimate knowledge of your destination to plan a Tahiti wedding? Someone who has the clout to get you the very best services and special perks? Ultimately someone who will help you plan a wedding in the Islands of Tahiti that is uniquely yours? Nelly provides wedding planning and ceremony celebrancy services in Tahiti, Moorea, Bora Bora, Rangiroa and beyond. Follow her on this blog! WHAT IF IT RAINS ON MY WEDDING DAY?